Charvet tie featuring textured jacquard. Charvet tie in contrast thread motif. Approx. 57"L; 3.5" at widest. Silk; dry clean. Made in France. 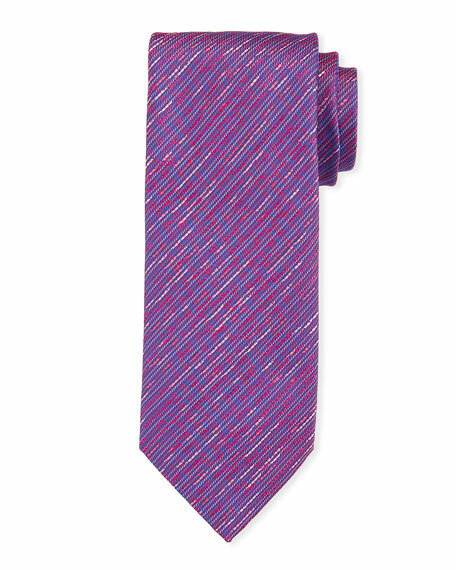 Charvet tie featuring minimalist diagonal stripes. Approx. 58"L x 3"W (at widest). Silk; dry clean. Made in France. Charvet tie in floating square motif. Approx. 57"L; 3.5" at widest. Silk; dry clean. Made in France.